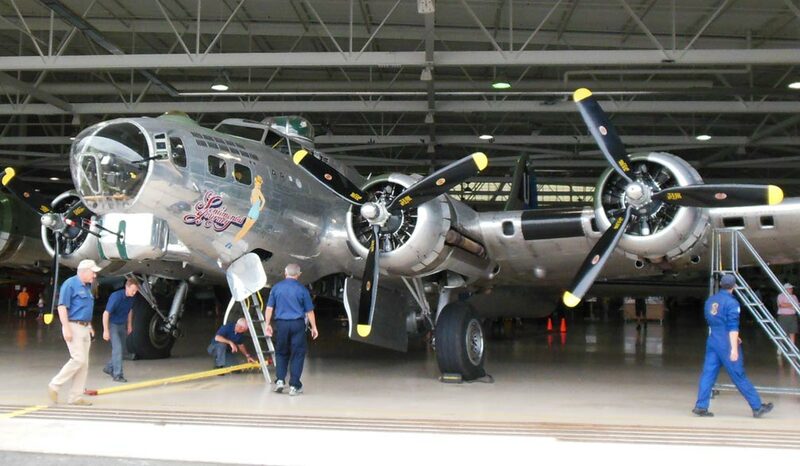 The B17 Flying Fortress - known as "Sentimental Journey" was in Hamilton last week at the Canadian Warplane Heritage Museum. It departed Sunday July 7, 2013 and continues its tour across Canada and the USA over the summer. It will return home to Arizona in October. 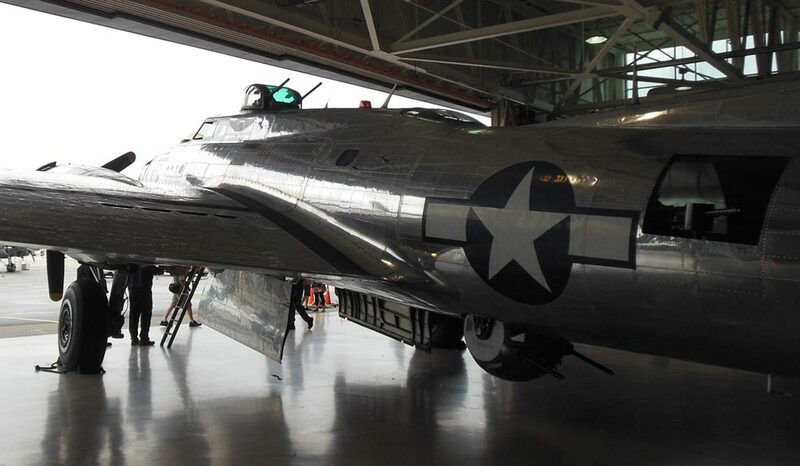 Here she is in the hangar (due to rain), but fans were allowed to get inside - see the ladder under the cockpit. Pilots have to climb in without the ladder. Here's a shot from the left side. You can see the upper gun turret above the cockpit and the bombay doors open below. Behind the doors is the belly "Ball Turret." Known as the worst crew position on the aircraft, the ball turret gunner actually had one of the safest positions. Although ball turret gunners didn't have a parachute nearby, they were hunched over with feet in stirrups, legs bent, with their backs against the door. The turret could turn a full 360 degrees to protect the aircraft from attackers below. 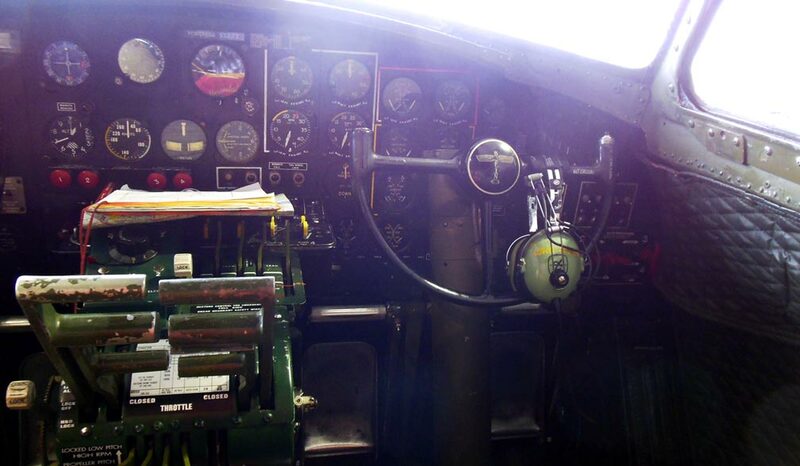 Here is where the Radio Operator sat (mid fudelage). They were separate from the rest of the crew and had a very restricted view. Transmissions were sent and received by Morse code. 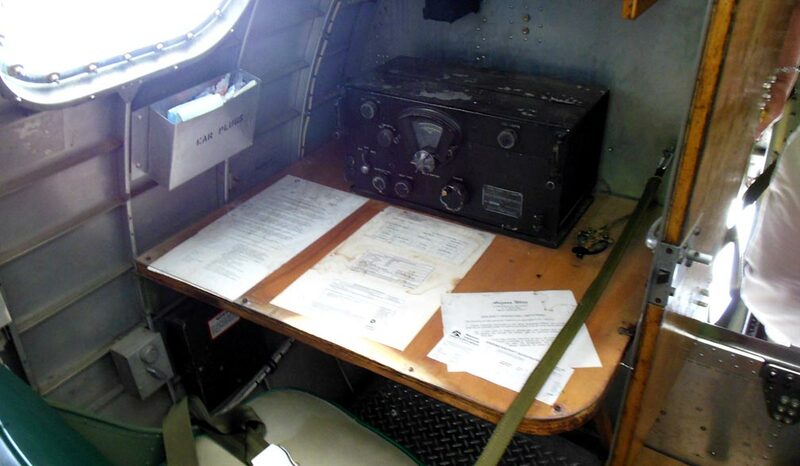 The radio was also used for locating the aircraft's position and bomb sites. The operator also ran a camera, fired a machine gun and performed first aid. A view of the co-pilots controls in the cockpit. Pilots breathed oxygen in an unpressurized aircraft at heights where the temperature could drop as low as -60 degrees fahrenheit.